Here is the last post for our honeymoon series! We've been married for almost 5 months now, so we're trying to remember everything from the last couple of days! These last two days were a little crazy [like staying at an air bnb, a snow storm, and no hotels available...more on this later...]. After leaving Sedona, we started our drive to Page to see Horseshoe Bend and Antelope Canyon. 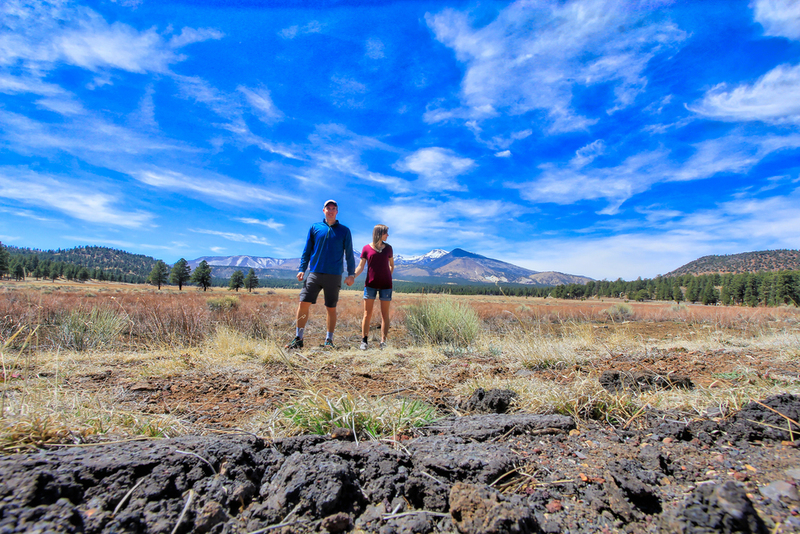 We passed a volcano on the way, so we had to pull off and take photos! As we neared Page, a bathroom break was much needed - but obviously no where to stop. We drove through many Indian reservations and a couple time changes. 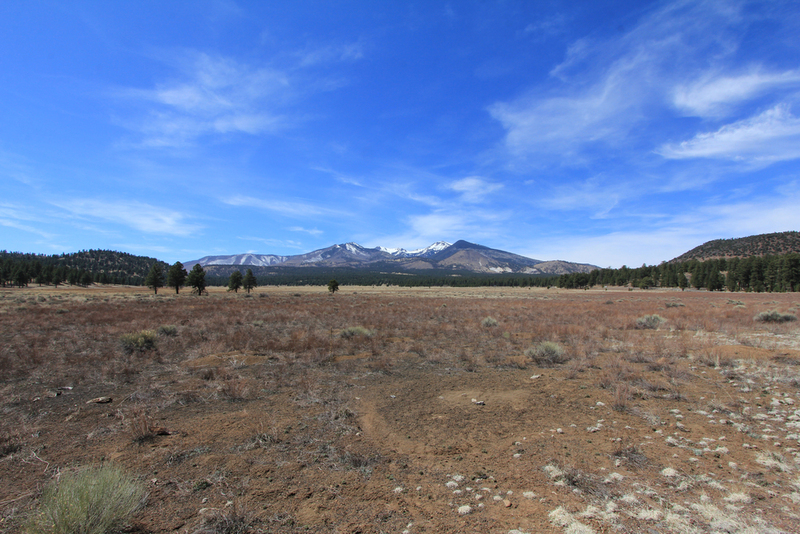 The area is beautiful in its own way, yet we can't imagine actually living on a reservation. There's no access to water, so many of them have big pickup trucks where they periodically drive into the nearest town to fill up tanks. Sanitation wouldn't be at our level of comfort, and most school teachers have high turnover. All this info was from our host through the air bnb. Naturally, we were full of questions! We found Horseshoe bend and captured a great parking spot - thank goodness, because my sprained ankle was struggling. We definitely didn't expect so many people to be there! And hardly anyone spoke English. Jon was more the adventurous one. I was basically crawling, skeptically looking at the people around [especially the crazy one wearing the creepy gorilla costume], yelling at Jon to be safe, and taking his photo. Naturally, Jon took the amazing photos you see above! I only took some of the bend on my phone - and I cut some of it out because I was too scared to get close to the edge. After visiting with our host, we ventured out to Jack in the Box for dinner [because coupons!] and to catch a stunner sunset! 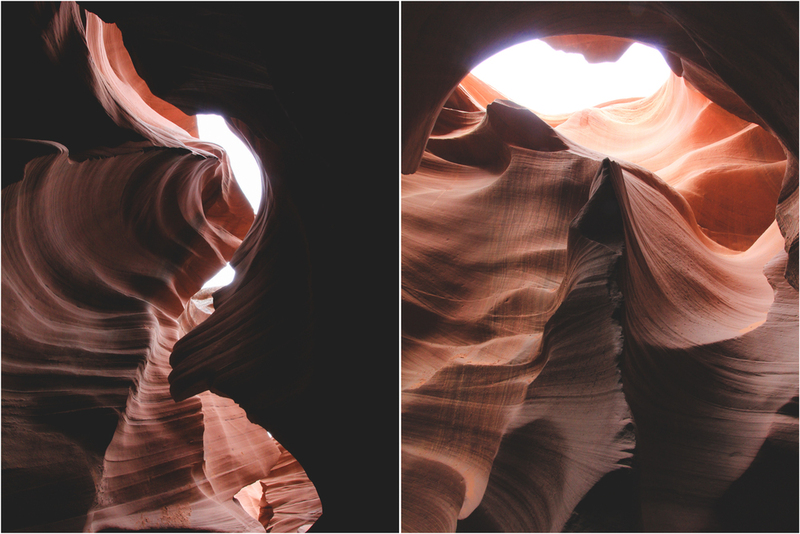 On Monday, we headed to Antelope Canyon! We recommend you make a reservation ahead of time since the wait was a couple hours. During the waiting time, we drove around Page and explored some shops looking for souvenirs. Since this was at the end of March and still pretty chilly, we recommend wearing a winter coat, pants, sneakers, hat, and sunglasses. The wind was terribly strong, and almost impossible to see unless you had glasses on. Now onto the CRAZY part of our trip to Page! The weather was getting stormy and cold, and there was nothing else to do in Page. We decided to drive back to Flagstaff to find a hotel for the night. That way, we'd be close to the airport for our flight back home to Charlotte, NC. 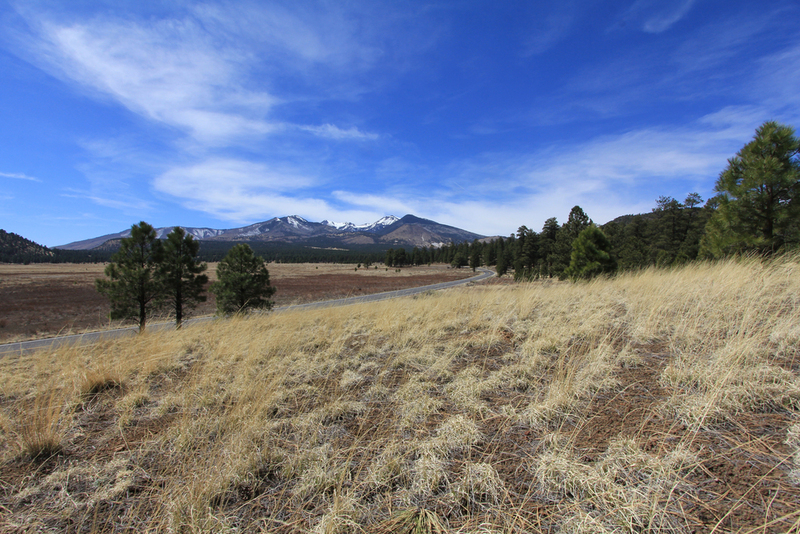 As we drove and neared Flagstaff, the sky grew dark, tumbleweeds crossed the highway, and a big, dark cloud rested on top of one of the mountains. 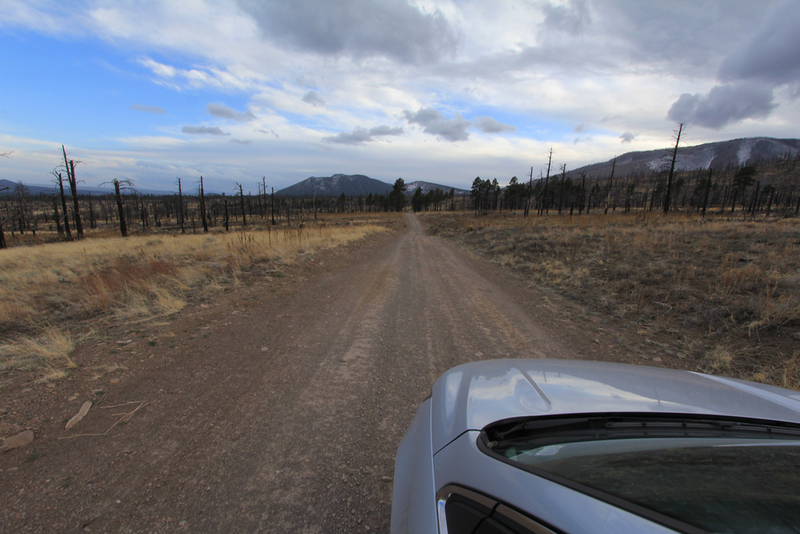 The wind was something fierce, but we kept driving and continued to explore, hoping that we might see an elk. 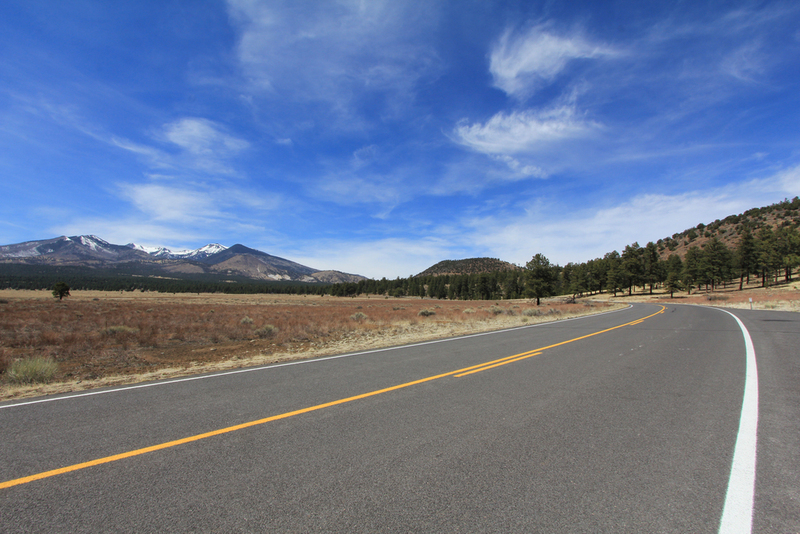 As we neared Flagstaff, we started looking for hotels at prices we could afford. We were shocked to find out that almost EVERY HOTEL was booked solid. Even the ones out of our price range. We are some more Jack in the Box for dinner [coupons again] and nervously looked for one that had a room. Super 8. That was it! We settled on a Super 8 for the last night of our honeymoon. How's that for being romantic? We couldn't have been more grateful! We also had brought our left over food with us, so no need to eat the continental breakfast. We ate as much as we possibly could before our flight the next morning [probably the source of some weight gain...]. Our Walmart trip we took on the first day of our honeymoon definitely served us well! And this concludes our honeymoon series to Arizona! Thank you for joining in on our travel documentation. :) Next up, MONTANA! Ok, it's just a thought, but it's on our list! We rate Horseshoe Bend and Antelope Canyon with 5 stars! Though the areas were MUCH more crowded than we expected, the beauty was still there. 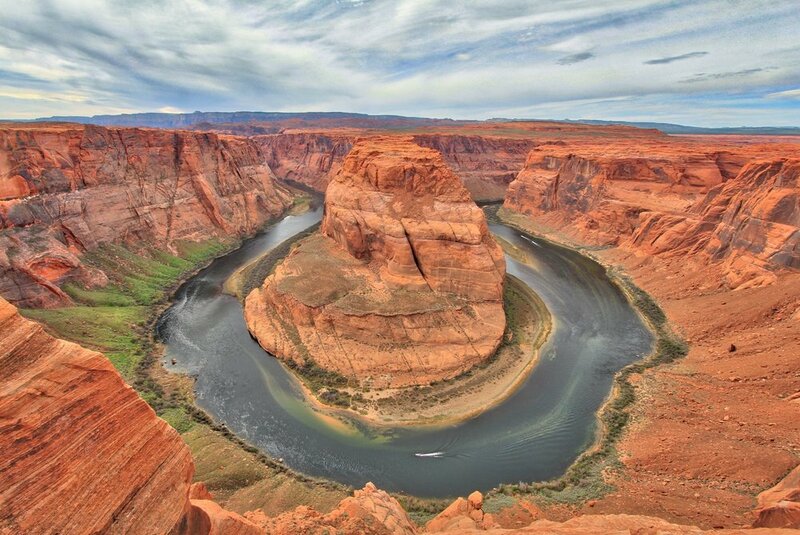 Horseshoe Bend: don't get too close to the edge, especially with children. It's a long walk to the bend, so those with trouble walking on uneven ground [mostly sand] would have trouble. Antelope Canyon: the stairs into and out of the canyon are very steep - not good for young children [unless you hold them] or the elderly. Adventure Seeker. Avid Volleyballer. People Person. Photographer: Weddings. Lifestyle. Travel. Architecture. Lover of the outdoors. Jon's travel buddy and volleyball teammate. Happy Wife. Musician. Blogger. Photographer: Second shooter for Weddings, Senior and Portraiture.